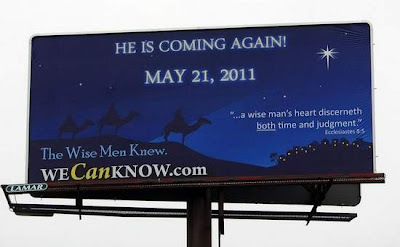 Shuck and Jive: PCUSA Approves Gay Clergy And Thus Brings On the RAPTURE!! PCUSA Approves Gay Clergy And Thus Brings On the RAPTURE!! 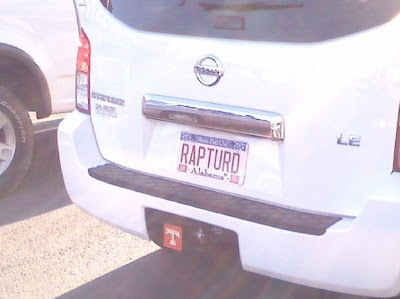 Make sure you thank a Presbyterian for bringing on the Rapture. Now that Presbyterian pulpits will soon be overrun with gays, the Lord surely will return to save the righteous from gay cooties. It appears the Lord will return Saturday, in fact. I think West Jersey was going to revisit whatever they did with their tie vote. Who knows. Voting on Amendment A after it has been passed is like Hawaii going to the polls in the late afternoon on election night. However, it is good to get as many YESes as possible to show that this is the direction the church is taking. Hopefully, we will get 96 or 97 YESes. Put your Rapture Bloomers on (so those left behind won't get a peek) and then you are ready to blast off and meet Jesus! west jersey presbytery "10 a"
you will find a May 5 article to the effect that they were not allowed to re-vote on May 17. So in effect their tie vote counts as non-yes, or no. So, those "in the know" must have known that passage of 10-A was a done deal when they put the May 21st Crapture on the calendar. I wish they would have said something. We could have started the celebration much earlier. I have it on good authority that the Unitarians are the ones who will be raptured . . . although now that the Presbyterians have seen the light, it's possible y'all will join us. And, if I remember correctly, Dr. Monkey was certain the rapture would be "nekkid" when it came, so no need to find any bloomers . . . once we get to heaven we'll get our golden slippers and robes. @Michael, I thought that would happen. I'll count them as a no.